With their soft chairs and climate control, office environments appear to be safe havens in comparison to other workplaces. 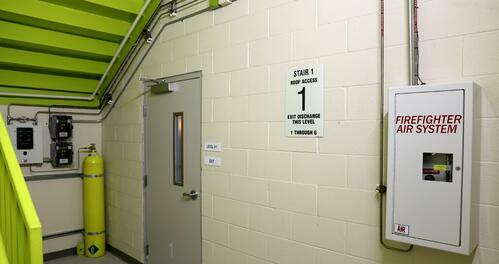 Like anywhere else though, the office environment comes with significant health and safety risks. From working indoors to grimy keyboards, the dangers lurking in a typical office can impact your physical well-being and mental health. Need a good reason to revamp your routine? Look no further. 1. Staring at your computer screen for long periods of time can harm your vision and cause migraines. According to the National Institute of Health, as many as 90% of office workers suffer from computer vision syndrome (CVS). 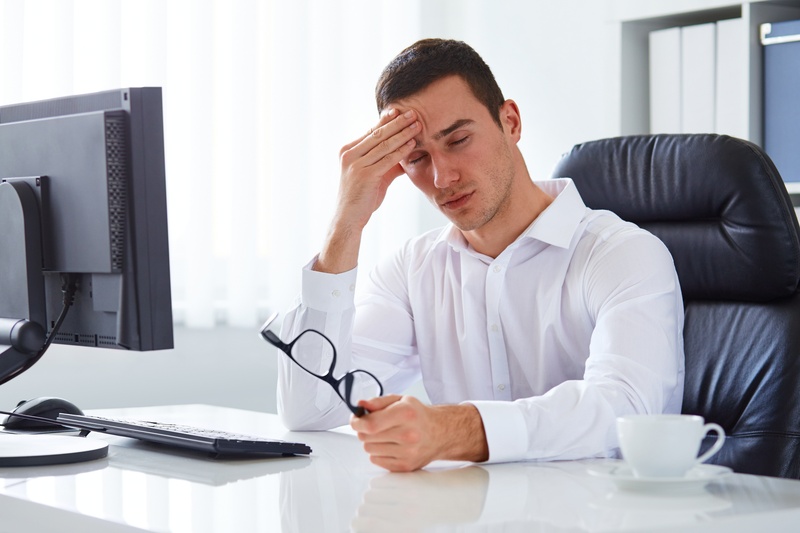 The most common symptoms of CVS include eye strain, redness, irritation or dryness, a burning feeling in the eyes, blurred or double vision after computer use, headaches, migraines, and neck and shoulder pain. If computer screens are causing you discomfort, try the 20/20/20 rule: Every 20 minutes, look at an object at least 20 feet away for 20 seconds or more, says Alan Hedge, director of the Human Factors and Ergonomics Lab at Cornell University. Blinking is highly encouraged too. For more information on ways to avoid CVS, click this link. 2. 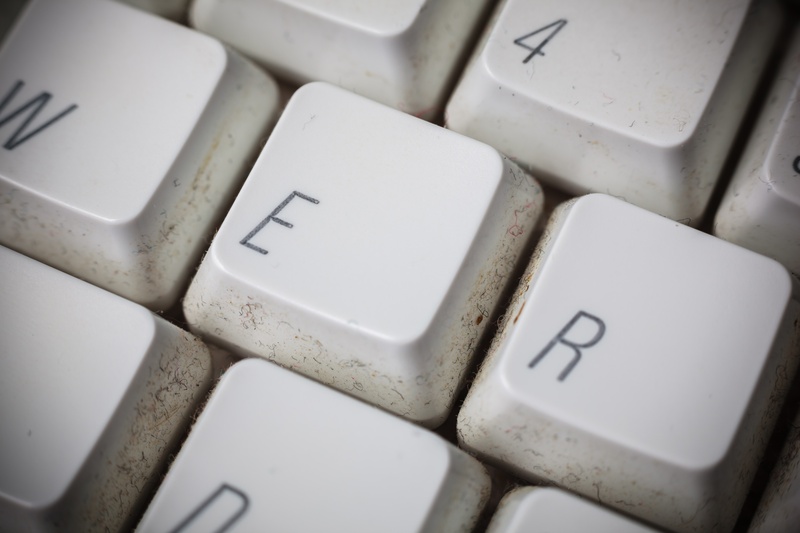 Dirty keyboards are as dangerous as E. coli and staph. An Australian study found that the typical desk has 400 times the amount of bacteria found on a toilet seat. Additionally, a study at Chicago’s Northwestern Memorial Hospital found that two deadly drug-resistant types of bacteria could survive for up to 24 hours on a keyboard. Doctors recommend washing your hands before and after using any computer keyboard. Regularly cleaning and disinfecting your keyboard is another simple, effective solution. Most microbiologists suggest that everyone should wipe down their keyboard and desk at least once a week. If you want to learn some efficient ways to clean your keyboard, click this link. 3. 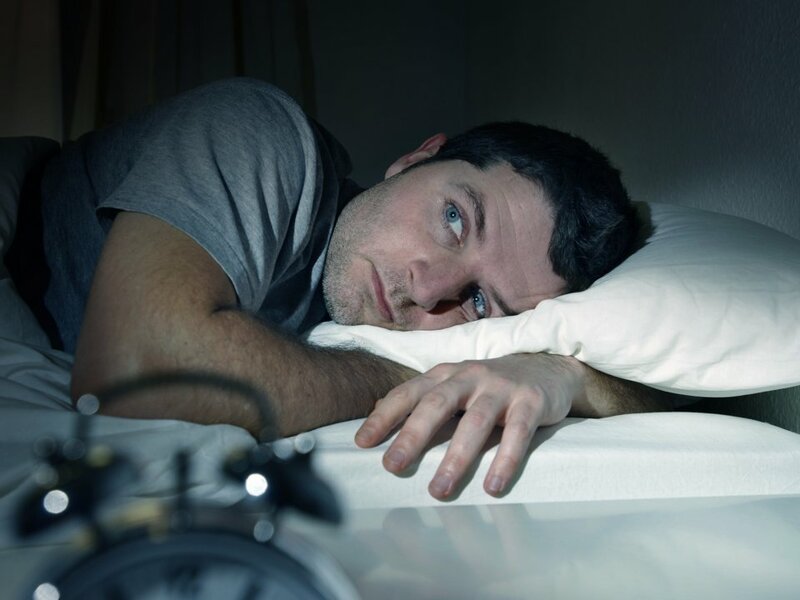 Working indoors too much can make it harder to fall asleep and more difficult to concentrate when you're awake. A study in the Journal of Clinical Sleep Medicine found that employees who weren't exposed to natural light at work slept an average of 46 minutes less a night than their peers with windows — and the sleep they did get was less restful. Not getting enough sunlight also puts office workers at greater risk of osteoporosis, constant colds and coughs, cardiovascular disease and even cancer. With office workers spending 8 hours or longer inside during the day, it’s no surprise that 9 out of 10 office workers are low on vitamin D. To increase your vitamin D intake, the National Institute of Health suggests spending 5-30 minutes in the sun between 10 AM and 3 PM at least twice a week. For example, you could go for a walk or eat your lunch outdoors. To learn key food sources of vitamin D, click this link. 4. Sitting all day can lead to an early death – even if you work out regularly. Sitting for long periods of time wreaks havoc on our bodies, yet 86% of American workers still sit all day at work. With statistics like this, it’s easy to see why Americans burn nearly 51,000 fewer calories per year than 50 years ago. Sitting too much can lead to an early death, raising the risk of muscular-skeletal disorders, obesity, diabetes, cancer, heart disease, and more — even if you work out regularly. 5. Over-exposure to printers and photocopiers could lead to lung and heart disease. An Australian study found that having a desk next to an office printer may be as harmful as sitting next to someone who’s smoking. Laser printing creates a shower of tiny particles, which remain in the air and can be inhaled deep into our lungs. Another study concluded that chronic exposure to photocopiers was associated with high oxidative stress and inflammation, increasing the risk of cardiovascular diseases. To minimize over-exposure to printers and photocopiers, researchers suggest avoiding standing over the printer as it prints and keeping heavily-used printers in well-ventilated areas, away from people. Did you learn something new? Subscribe to our blog for more eye-opening content!